What if I can't make it to a regional? Since Regional Tournaments are no longer mandatory, you would only be hurting your own seeding by not attending, but there is no penalty or additional fee if you do not attend a Regional Seeding Tournament. Do I have to fight at a Regional Seeding Tournament if my state is listed as part of that regional? Again, NO. If you want to attain a higher seeding at the World Classic Tournament than a Fighter who does not attend a Regional Seeding Tournament than of course you should attend a Regional Seeding Tournament. What ages can fight at this event? Ages 8 to 17 are in the Junior Divisions and ages 18 and up are in the Adult Divisions. What Rule Sstyles are the fights in? Full Contact Rules (Click HERE) - RINGSTAR SHOES ALLOWED! International Rules (Click HERE) - NO RINGSTAR OR OTHER SHOES ALLOWED! MuayThai Rules (Click HERE) - NO RINGSTAR OR OTHER SHOES ALLOWED! Elbows to the BODY ONLY - No elbows In JUNIOR Bouts. 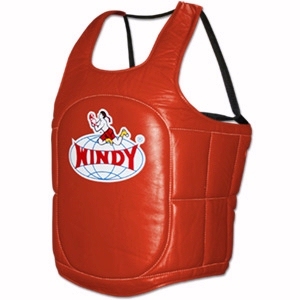 Chest Pads are "NOT MANDATORY FOR JUNIORS" Fighters!!! If one Fighter or Trainer requests to wear one and the other fighter chooses NOT TO, NEITHER Fighter will wear one because this provides a difference of equipment that may result in an advantage or disadvantage to the other fighter. 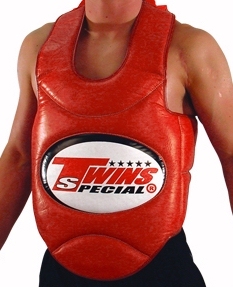 IF BOTH FIGHTERS WISH TO or AGREE TO WEAR ONE - It MUST be Addressed AT FRIDAY REGISTRATIONS. For more detailed rules, Please See Official Tournament RULES Page By Clicking HERE. What kind of gloves will the fighters wear? Amateur Fight Gloves, 10 ounce for fighters below 147 lbs and 12 ounce for fighters above 147 lbs. Are all fighters required to wear headgear? Will the IKF supply the headgear and if so, or not, what headgear will or should be used? The IKF will have headgear for fighters to use, however, fighters are requested to bring their own. Fighters Will Be Allowed To Use Other Headgear as long as it is Competition Headgear as used in USA BOXING with NO FULL JAW BAR. Are fighters required to wear shin pads? Yes. ALL fighters in ALL rule styles are required to wear shin pads. For more detailed Equipment rules, Please See Official Tournament RULES Page By Clicking HERE. If so, will IKF supply them or do the fighters supply them and what kind? Fighters are allowed to wear any brand of shin pad except soccer shin pads or any kind of shin pad that has a HARD Front surface. For more detailed Equipment rules, Please See Official Tournament RULES Page By Clicking HERE..
What other safety equipment is mandatory for each fighter? Are fighters required to wear footpads? Only in the Full Contact (Above the waist) rule styles. Fighters may use the brand they wish to, as long as the pad fully covers the toes, instep and back of heel. Footpads shall be secured to the foot by "White" athletic tape. 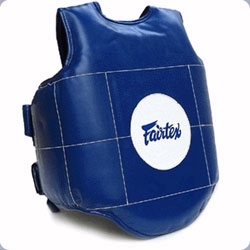 ANY brand or style Footpads will be allowed as long as they meet the required standards of IKF Rules & Regulations. Are women required to wear chest/breast pads? YES, At a minimum you are required to wear a "Sports Bra with Padding." If you desire, you can also wear the plastic shields. Where are the regional events held? See the Regional Events page by CLICKING HERE! What are the dress codes for all the fighters? ALL Other Fighting Styles will wear SHORTS. Boys & Men: T-Shirts are allowed if desired but not suggested. If I'm a full contact fighter and I only bring shorts to the national finals, can I wear them in my fight? NO. You will lose by forfeit if you come into the ring with shorts on. How do I find a Regional Seeding Tournament in my area? Again, see the Regional Events page by CLICKING HERE! What if I don't have an opponent at the regional event I attend? If you do not have a bout at the Regional Seeding Tournament you registered for, the regional promoter will contact you the week of the event to inform you that you do not need to travel and attend the event. You will still attain a higher Finals Seeding at the World Classic Tournament just for Registering at a Regional Seeding Tournament. If there is no Regional Seeding Tournament for my state, what should I do? To register as a direct "WALKOVER FIGHTER" for the Finals. To do so Click HERE! Or, To Register for the closest Regional Seeding Tournament to you to assure a higher seeding at the finals. To see which event is closest to you go to the Regionals Page by Clicking Here! How long are the bouts? All adult bouts are 3, 2 minute rounds - 1 Minute Rests. Ages 8 to 15: 1:30 Minute Rounds - 1 Minute Rests. Ages 16 & 17: 2:00 Minute Rounds - 1 Minute Rests. What if a bout ends in a draw? One more round will be fought and this will continue until a winner is determined on at least 2 of the 3 judges cards. What if an unintentional foul happens and forces a fighter out of the fight due to injury. What will determine which fighter will go to the next round? As long as "1" round is completed, the rounds fought will be judged and scored. The fighter ahead on the cards will advance to the next round "IF" they are able to. If they are not able to, the other fighter will continue. If the foul occurs in the first round and 1 fighter cannot continue, the opposing fighter will instead, unless the referee determines the foul was "Intentional" or for some reason not truly "Unintentional". What if I fight and win, but am too banged up - injured to fight my next bout. Who will take my place? In this case, the fighter you fought and defeated will have first option to continue. However, if they were stopped before the end of the scheduled rounds (TKO/KO) they will not be able to continue. The next option will be to take the same placed fighter from the other side of the bracket to fill your position. However, if the injury occurs in the semi final bout and you win, but cannot continue, and your opponent you just fought was stopped by TKO or KO, the opposing losing fighter will not advance to the Finals because they have already fought the other finalist and lost. This would give the win to the finalist on the other side of the bracket without a final bout being fought. He/she would win by injury forfeit. If I feel I received a bad decision, can I protest the bout? In the past, we allowed protests. However, not one protest has ever been over-ruled when a "Fight-off" (Where the fighters fight 1 more round) was scheduled. All this did was take more time and cause some to doubt the judges for the remainder of the tournament. For this reason, there will no longer be any protests allowed at any of the Regional Tournaments or the World Classic Tournament. Why am I paying a Regional Registration fee? Where does the money go? To assist with the promoters expenses of giving you an opportunity to be a higher seed at the World Classic. Can I register late for a regional event? No, unless the regional director/promoter allowed you to. What if I miss the Championship Finals Registration Deadline? To see what the DEADLINE date is and all LATE FEES: CLICK HERE. Do I pay for my own travel expenses? Since this is a TOURNAMENT and not a General Event, all fighters are required to pay their own travel expenses. We suggest each fighter to seek SPONSORS to pay for their travel expenses and in return, list these sponsors on fight clothing, warm up robes, cornermens jackets trainer T-shirts, hats or other areas you feel you can offer your sponsor exposure. All suggested regional hotels as well as the Host Hotel for the Championship Finals will negotiate special rates with regional directors and the IKF to attain special discount rates for the incoming fighters and trainers. Do I have to weigh-in at the weight I put on my registration form? If a fighter weighs-in heavier than their registered fight weight division, whether at the Regional Level or the Championship Finals, they will be given "UNTIL THE SCHEDULED END OF WEIGH-INS" to make their Registered weight class. NO FIGHTER MAY "GAIN" Weight to make their weight class. If a Fighter weighs-in UNDER their weight class, they will be automatically disqualified from competition without any refund of any registration fees. If after THE SCHEDULED END OF WEIGH-INS the fighter is still unable to make their registered weight, they will be disqualified from competition whether at the Regional Level or the Championship Finals, without any refund of any registration fees. Do I have to fight in the rule style I put on my registration form? If I register and pay for a regional Tournament and get injured or can't make it will I receive a refund? If I register and pay for a Regional Tournament and the Regional Tournament is cancelled, will I get a refund? Yes, The Regional Promoter will refund your fees paid to him/her 100%. When will I know who I will be fighting at my Regional Tournament? All FINAL MATCHMAKING and BOUT ORDER for each regional event will be done AFTER ALL WEIGH-INS have been completed since the Regional Director will not know who has made it to the event as well as made their weight until this time. How does the Regional Director determine who will fight who at their Regional Seeding Tournament? Fight schedules and seeding shall be determined by "DATE OF REGISTRATION"